After months of speculation, Twitter video has arrived. Users of Twitter’s mobile app can now quickly and easily shoot-and-share video clips to be sent along with their tweets. And it’s pretty great – the functionality’s very similar to that of Vine (also owned by Twitter), though the maximum clip length has been extended to 30 seconds. You just compose your tweet, click on the camera option and switch it to video, hold down the video icon to film, then you’re done. It’s easy, seamless and will be a massive boost for brands and regular users alike. But, of course, that functionality isn’t startlingly new – you’ve always been able to record video in another app, like Vine, and share that video via tweet, right? 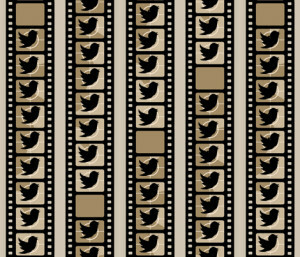 While that is true, the immediacy and ease of use of having video functionality in-built takes video on Twitter to another level – here are three reasons why Twitter video will go big time. 1. Video infinitely enhances personal connection. Gary Vaynerchuck touched upon this in a recent post – as we’ve all seen from the massive growth of video on Facebook, video content is powerful. We also know that people are on social media to be social – social platforms are personal platforms, places from which people can voice their opinions and share their thoughts on everything from global issues to their favourite biscuits. Sharing your voice enables you to be heard, and that capability is extremely powerful, particularly when it comes to how that voice is acknowledged. Listening and responding to those voices is a key element in building brand loyalty and advocates – if people are using social to be heard, the brands that win are those that are hearing them and responding to those signals. While it’s best practice, and common courtesy, to acknowledge users who’ve shared your content or commented on your tweets, sometimes those acknowledgements can come across as robotic or non-genuine. Sometimes, even if they’re totally genuine, it’s unavoidable that your message will seem cut-and-pasted – I’ll often respond to people who’ve shared my posts with ‘Thanks for sharing my post, Ben, much appreciated’ – and that’s a genuine sentiment, and I always try to include the users’ actual name to show that this isn’t just a repeated tweet, but there’s only so many variations you can do on that message. But now I have Twitter video – what if I made an individual video personally acknowledging that person for sharing my content. And maybe my doing it is no big deal, I’m not a big name celebrity, but what if Jay Baer did it? Your CEO, maybe? What about Beyonce? The power of an individual video message is significant – that sort of interaction can turn a person into a fan for life. And now, with that video capability in-built and readily accessible, it takes literally only a few more seconds of effort to make a stronger connection through video recognition. Click reply, press the video camera, create a message, send. Simple, fast, powerful. 2. Immediate and fast access to video will make it easier to contextualize with ‘how-to’ and ‘walk-through’s. Have you ever seen the Lowe’s ‘Fix in Six’ videos posted to Vine? In short, quick clips, people were able to produce amazingly helpful – and popular – ‘how-to’ content – and now you can do the same, but with longer clip duration. This aspect will reinforce Twitter’s capacity as THE customer service platform. Brands and helpdesk assistants no longer need to restrict their advice to 140 characters – a challenge at the best of times. Now you can take a quick clip, right there, in-app, and show the person on the other end of the line how to do something. Even better, it’s often equally, if not more, difficult for users to explain their issues within Twitter’s character limit. Now you can just get them to film the issue and tweet the video through. This will avoid confusion over what’s being discussed, where the actual issue lies. Again, the immediacy of being able to press one button and create a video of the problem is significantly different to taking a video in another app and sharing that way. Having the functionality right there, within the platform that people are already using, will change how video is used in this application. Problems will be resolved faster, responses will be more in-depth and helpful. The change will be significant for the brands that utilise this functionality to best effect. 3. Twitter video will bring more users to Twitter and keep them there longer. Tech investor Jason Calacanis wrote a piece about Twitter video in early January which looked at the platform’s capacity to capitalise on the rising popularity of video content. In Calacanis’ post, he made a very relevant point about how celebrities use Twitter – he noted that many celebrities and influencers are highly active on Twitter, but not many have their own YouTube or Vine channels, so they’re not actively posting a high amount of video content. He also noted that Facebook has been trying for years to get celebrities and influencers more active on their platform, as evidenced by the creation of Facebook Mentions, an app targeted specifically at celebrities (which, co-incidentally, just got an upgrade). Twitter already has those big names on-board – providing them with the ability to easily share videos with their huge follower bases (and once they see how their fans respond to that video content) will lead to more of them posting more video content, which, in-turn, will lead to more people coming to Twitter to view it. What’s more, Twitter video’s can only be shared through embedding or posting links back to the original tweet, there’s no easy way to extract the video and re-post it on YouTube or direct to Facebook. When those celebrities do post clips, that content will, of course, be shared across other platforms, and the way that content is accessed through other channels is by providing, or linking back to, the original tweet, which, again, generates greater exposure for Twitter. This is in-line with Twitter’s view that it reaches a significantly larger audience than it’s actual user-base through ‘logged-out’ users, people who are exposed to Twitter content but are not on the platform. As it moves to better monetize this element, growing that exposure can only be a good thing. It may also prove to be a huge thing in the long run. Overall, Twitter video is not a massive shift – the ability to post and share video via tweet is, essentially, nothing new. But the integration of video into your Twitter stream, having the option right there, a click away as you compose your message, changes the equation significantly. There are so many opportunities, so many simple and effective ways to use this new process. If you’re not thinking about using Twitter videos, you should be. Because have no doubt, other brands are thinking on it. Even minor innovations can be the difference between a 7/10 and a 10/10 customer experience.